MAYS LANDING – A former employee in the Galloway Township Recreation Department has pleaded guilty to a charge of third degree Theft, Atlantic County Prosecutor Damon G. Tyner announced. Jennifer Diluzio pled guilty to an accusation of third degree Theft before Judge John R. Rauh on Thursday morning. Diluzio received probation, payment of restitution $6,957 and Forfeiture of Public Employment as a condition of the plea agreement. 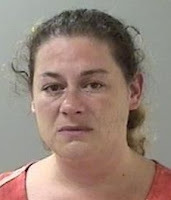 DiLuzio was an employee for the Galloway Township Recreation Department and from March 2017 to June 2017, one of her duties was to process applications and collect fees for residents that were sending their children to the 2017 Township Summer Camp. During that time, DiLuzio stole nearly $7000 of those camper fees rather than deposit them into the proper fund as required by her duties. This was a joint investigation by the Galloway Township Police Department and the Atlantic County Prosecutor’s Office Official Corruption Unit. Diluzio will be sentenced on January 5, 2018. Chief Assistant Prosecutor John Flammer represented the State in the matter.